Ever since I read about using paper tape to make flag food picks in the book Yum Yum Bento by Crystal Watanabe and Maki Ogawa ( a book I highly recomend for any Bento lover or MTM'er) I knew I wanted to give it a try. 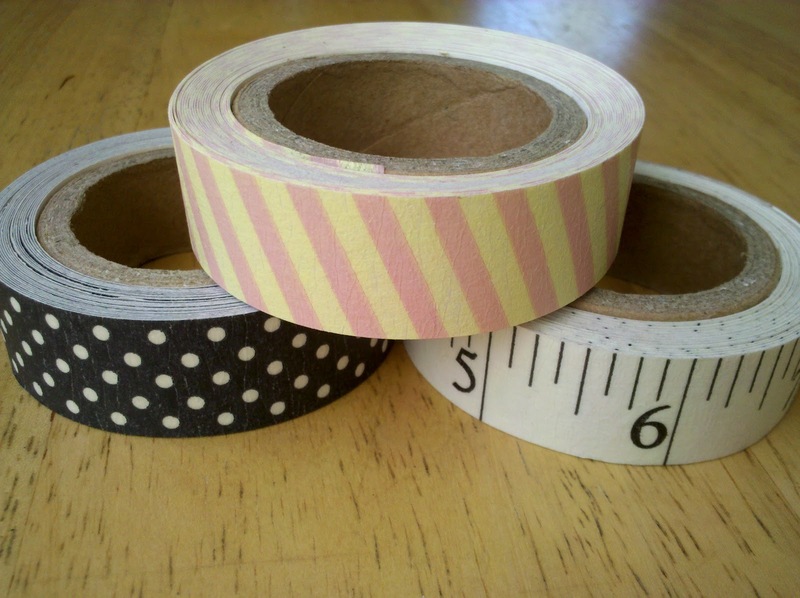 But finding paper tape in stores, or "washi tape" as it is also called, is problematic here in the states (at least for this suburban mama). 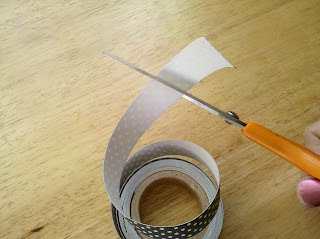 But I received some paper tape for Christmas (Thank you, Mom!) and I did a little happy dance inside. It's by 7gypsies and used primarily for crafting. 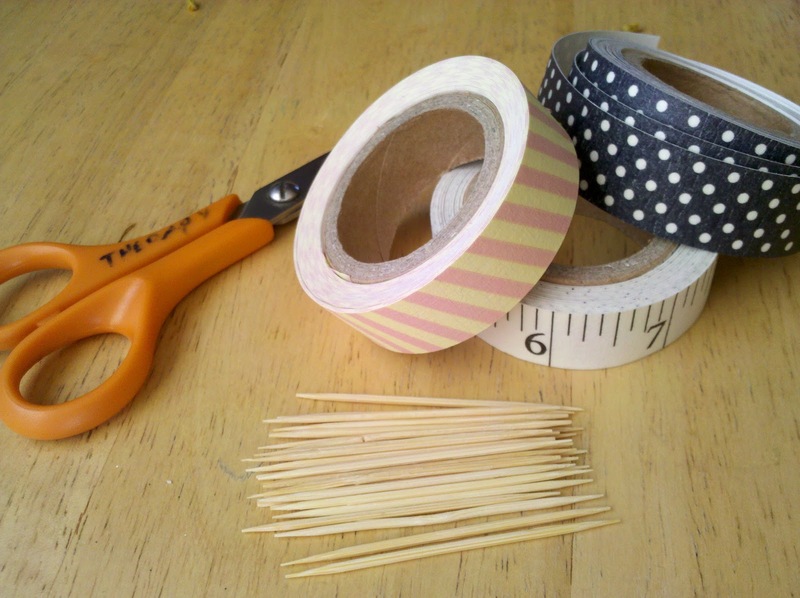 To make washi tape food picks, you'll need paper tape, tooth/food picks and scissors. 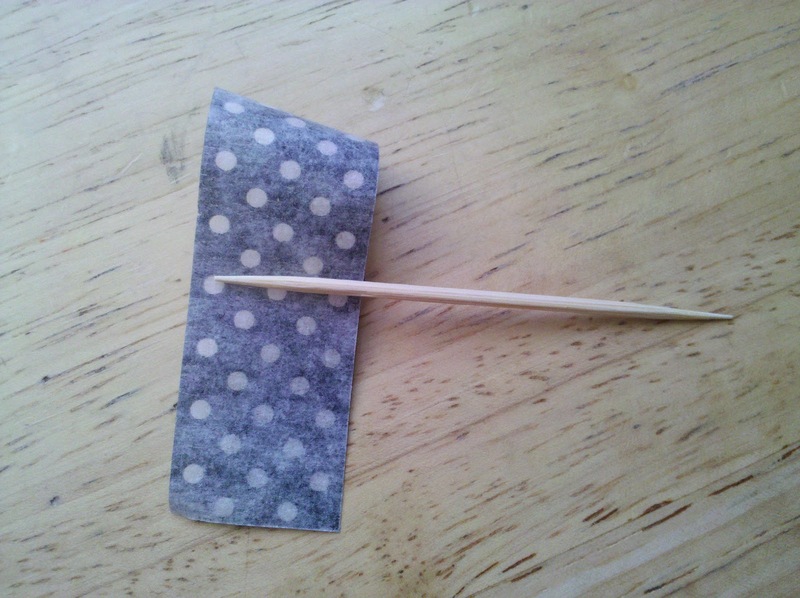 peel off the backing, fold over top of tooth pick. 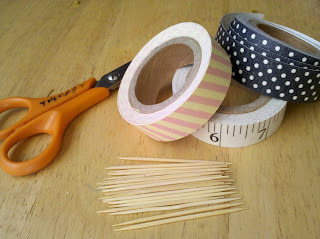 A great place to find washi tape online is Happy Tape, they come individually or in color coordinating series. You can also check out the happy tape blog to see some of the fun ideas for use with washi paper tape. *I hope the affiliate links in this post are of benefit to you. I want you to be able to find any of the items and tools I use for Muffin Tin Monday. 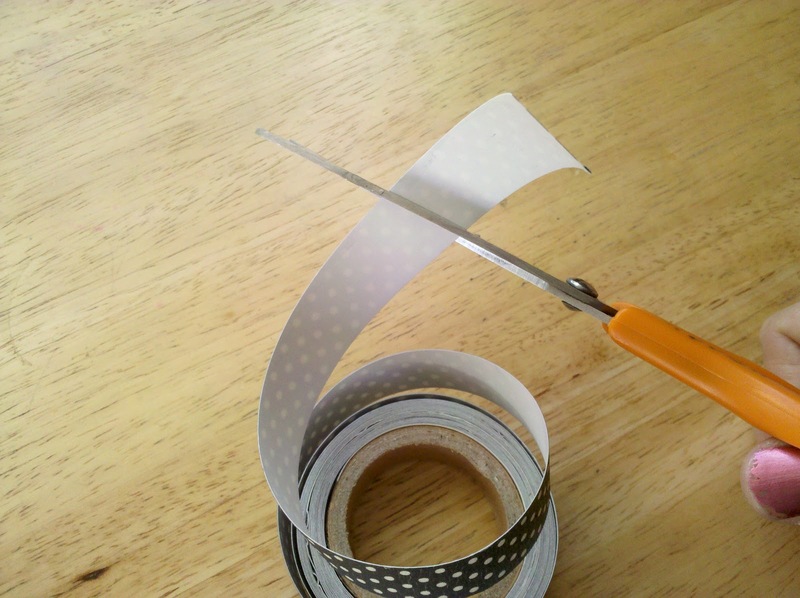 Have you ever used paper tape? Have a great post? Share in the comments! I gave Yum Yum Bento to all the teen girls in my life for Christmas and they went nuts over it! Awesome post and so cute!! I got that book for Christmas! I buy the $1 sticker books at Michaels and make my own picks. Same idea as the tape, but I just stick 2 stickers back to back. 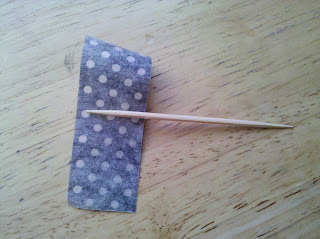 Yes, I've used the paper tape for food picks with a lot of success. My first try was "comic flags" using images cut from the Peanuts comics in our Sunday paper. A very cheery lunch design came from it! 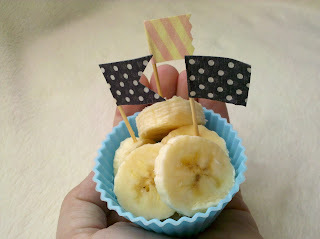 Oh how cute and easy! I've been over drooling at all the yummy colors and patterns they have over there!